Fall can be the most gorgeous season of the year. The colors, the cool weather, the fashion, the anticipation of the upcoming holiday season and Halloween are all the very best parts of the season. Interior decorating can be done in a day, but what about the outside of your space? After a summer of watering your plants twice a day, sweating and dreading the humidity, the last thing most people want to do is continue working outside. When it starts to get cooler, you start to notice little things wrong with your exterior space and you start to worry about them as winter approaches. What will become of your tree root problem? Will trick-or-treaters trip over the roots? Will I forget where it is in the winter and run my snow blower over them? As the list of concerns grow, it becomes easier to put off fixing the problems all together. However, why not fix the problem with a company that comes highly recommended, is affordably priced and can make your worries disappear in less than a week? Maryland Curbscape did exactly that for a family in the Crofton area. With Halloween right around the corner, this family in Crofton understood the severity of their situation. Ghosts deserved the right to walk up to their home on a brand new driveway and front walkway. Trick-or-treaters deserved the right to collect their candy on a yellow brick road of sorts. 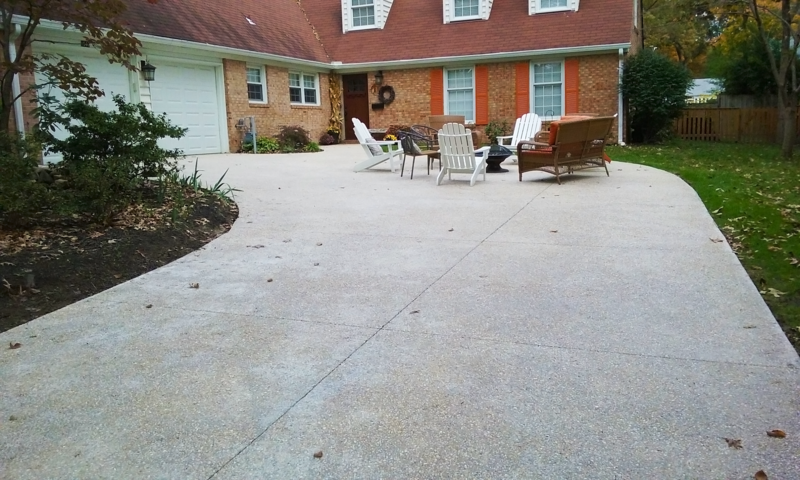 With a large driveway in disrepair due to tree root damage and general wear and tear, this was the first area to receive treatment. The family selected a concrete with a look known as “exposed aggregate,” a design commonly sought after in the Crofton community. 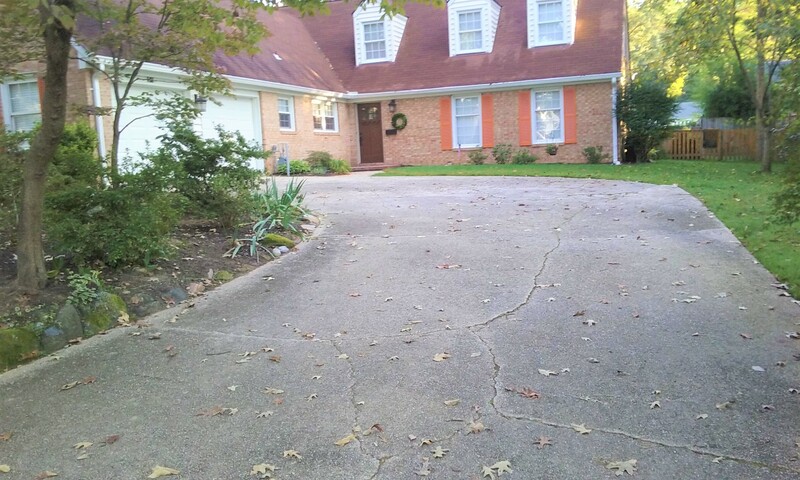 The driveway was jackhammered, and the old entranceway was removed. The exposed aggregate concrete was added to the entranceway as well. The exposed aggregate concrete was finished and sealed, keeping the color in and Mother Nature out. The project took less than two days, giving the family enough time to prepare for the copious amounts of trick-or-treaters that were headed their way. The concrete is safe to walk on after just two days, and is safe for vehicles after one week. Now they can welcome the holidays and the rest of the beauty fall has to offer without tripping over tree roots. As the leaves change, change your mind. Take a couple of days and fix your space before that frost sets in. Take your “spring project for next spring” and make it a fall project. Call Maryland Curbscape and let them help you transform your space with frighteningly good pries and unique designs.